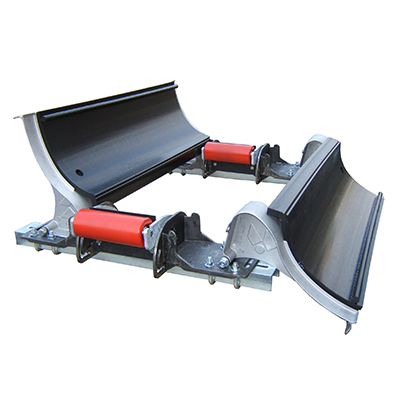 The patented LIFTUBE® and the dust-collector are accessories for conveyor belt. 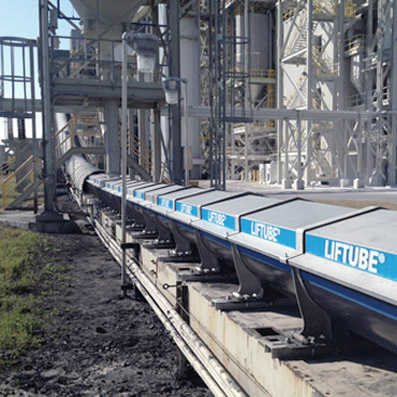 The LIFTUBE system enables the belt to run on a central horizontal tilting roller and to slide on the edges, which also tilt. 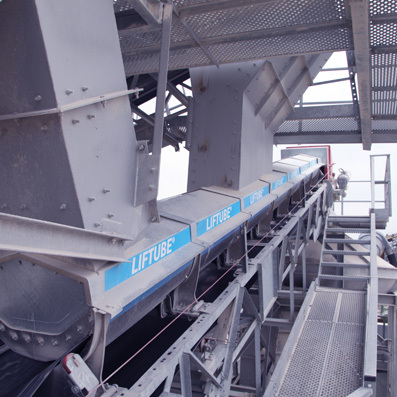 A removable hood can be adapted to the equipment to reduce belt conveyor dust emission. 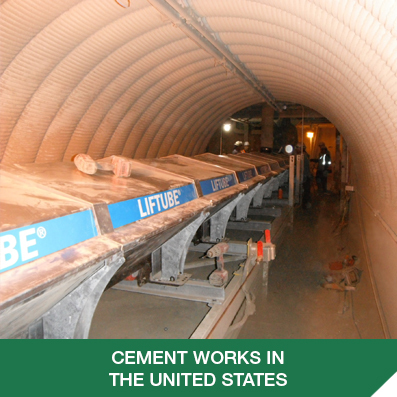 Only the size of the hood and the central horizontal roller depends on the width of the conveyor. 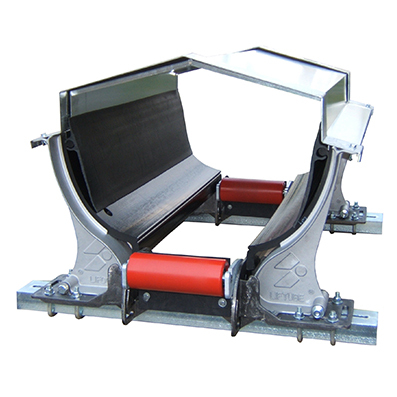 The conveyor belt and rollers can be easily accessed thanks to innovative tilting glideboards. The dust-collector is a 2m-LIFTUBE kit with filtering unit atop of hood – air-jet filter cleaning. Allow reduction of very fine dust emission just after discharge. 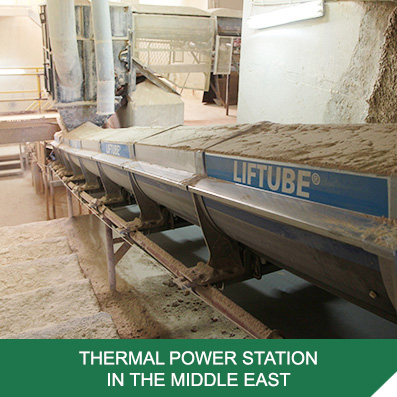 OBJECTIVE : Reduce loss of products & cleaning/maintenance time and purify the atmosphere. 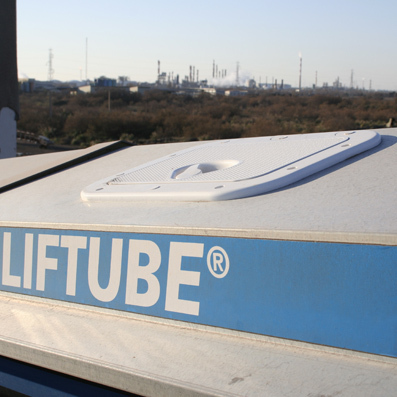 SOLUTION : 15 m of wide (1000 mm) LIFTUBE from a raise equipped with a 2 m hopper hood. RESULT : The sealing of the conveyor was optimised and enabled the customer to reduce dust emissions, loss of material and therefore the cleaning/maintenance time by 95%. PROBLEM : Loss of product overflowing on the conveyor. Flying dust. 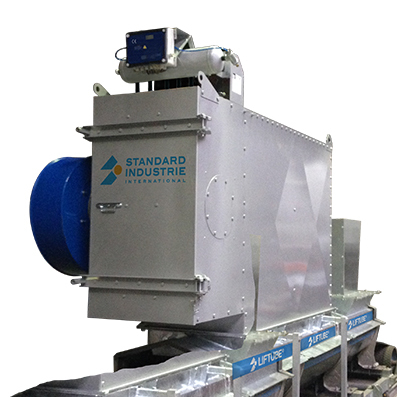 OBJECTIVE : To eliminate the loss of product and control dust emission. RÉSULTAT : Customer 100% satisfied with the solution, which was duplicated on sister sites.